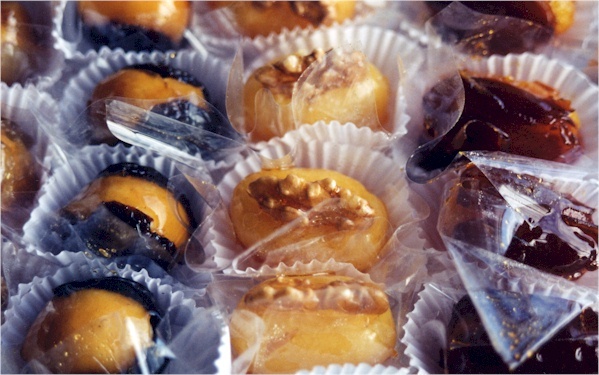 Served at birthday parties, weddings, and any festive occasion, these are marvelous concoctions of eggs, sugar, and/or sweetened condensed milk, and a variety of fruits and nuts, including coconut, dates, prunes, walnuts, Brazil nuts, peanuts, etc. 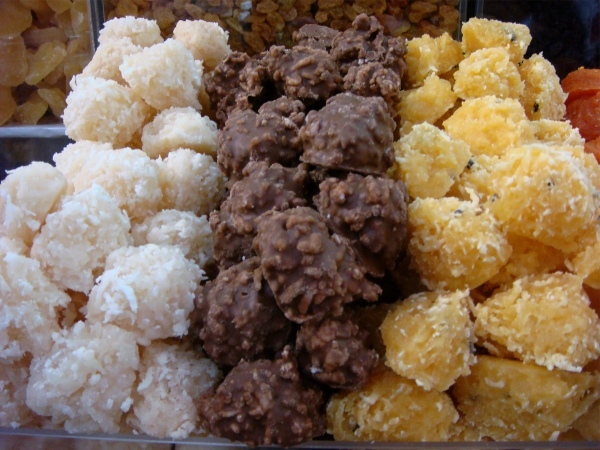 We have a collection of recipes listed on Maria's Cookbook. 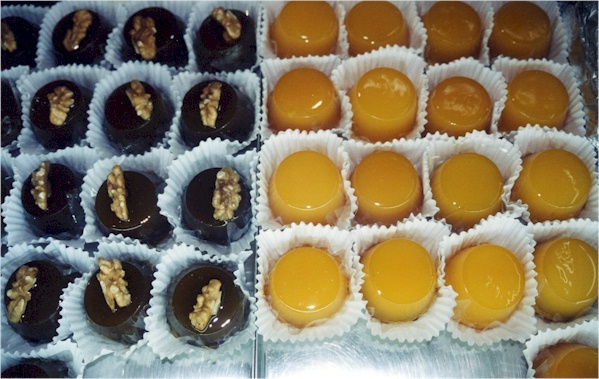 You can also find them at dessert counters and specialty shops, and at select markets all over Brazil, especially in the southern region. 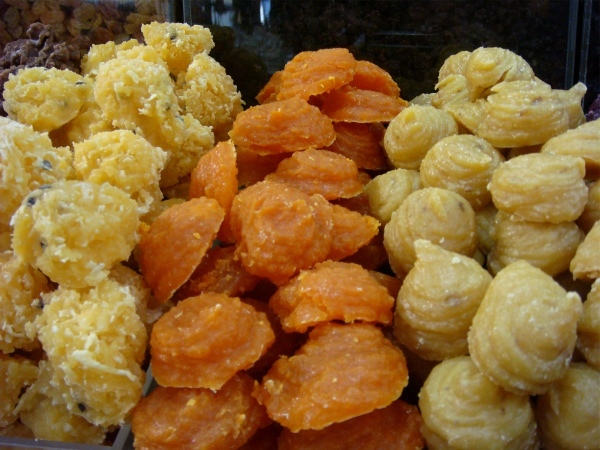 Pictured above from left: guava paste, buriti palm fruit, and sweets made from pumpkin, sweet potatoes (green and purple), and three types of cocadas or coconut sweets (made with condensed milk, chocolate, and passion fruit). 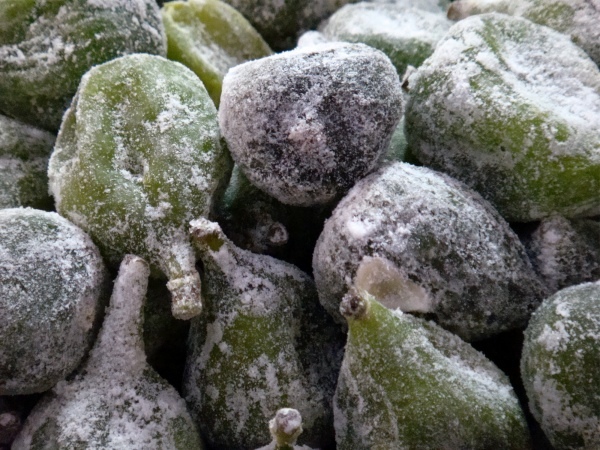 Photographer Jennifer Silva from São Paulo sent us this wonderful closeup of sugar figs. 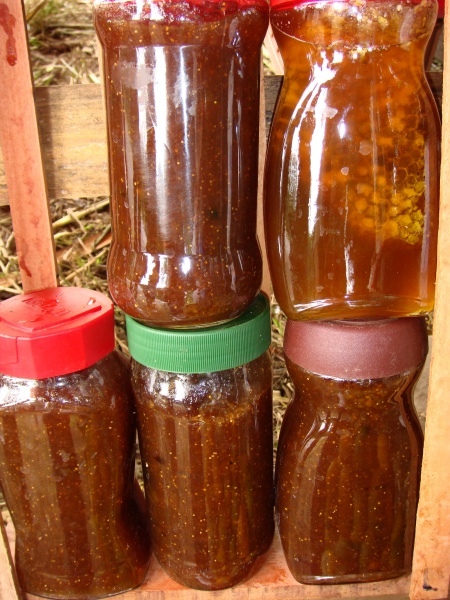 My all-time favorite is figada or fig jam/marmalade that you eat (and eat and eat...) with a spoon. 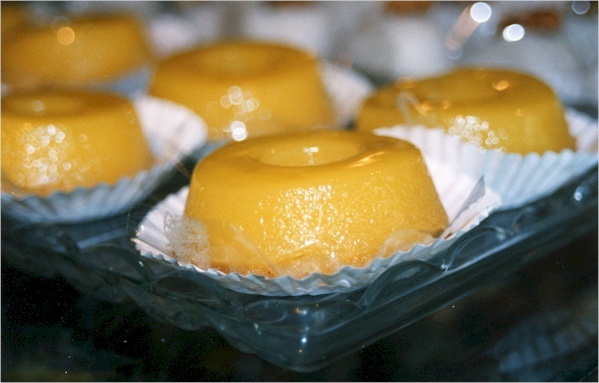 I bought one of these jars at a road stand in Rio Grande do Sul, brought it back to Rio with me, and dropped it in front of my door. 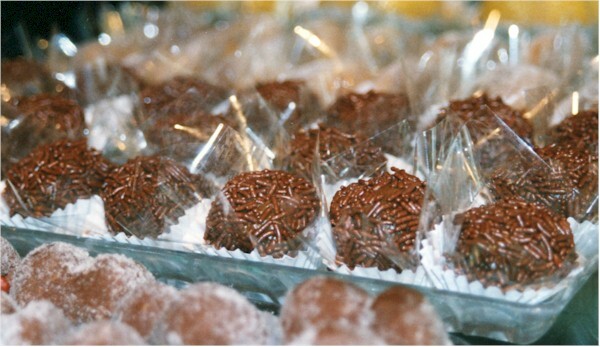 It broke into a million pieces and now I need to go back to get another one! 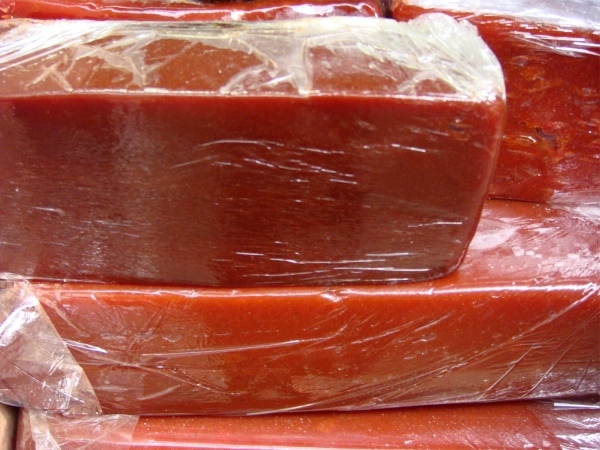 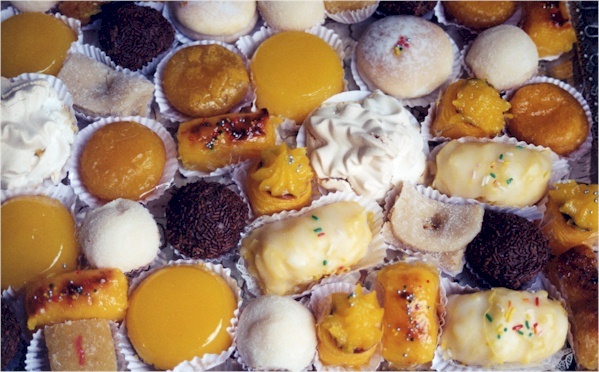 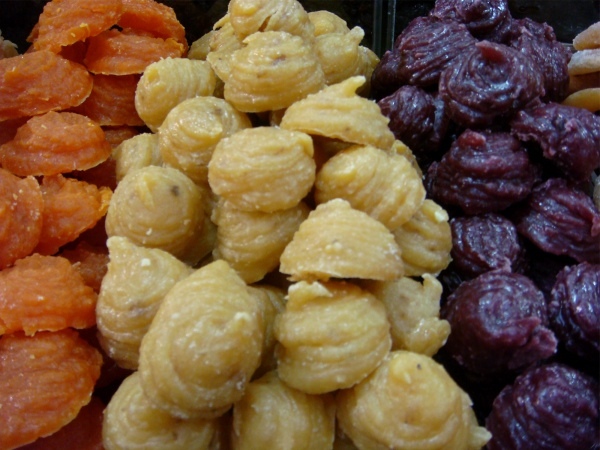 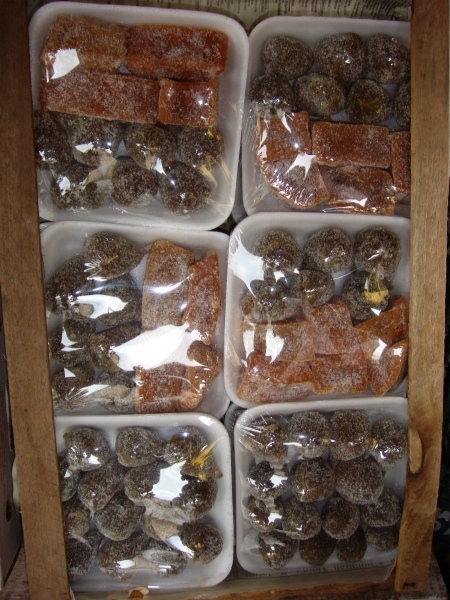 The city of Pelotas in Rio Grande do Sul is a big center for these and other sweets made from all different types of fruit (peach, guava, figs) and sweet potatoes. 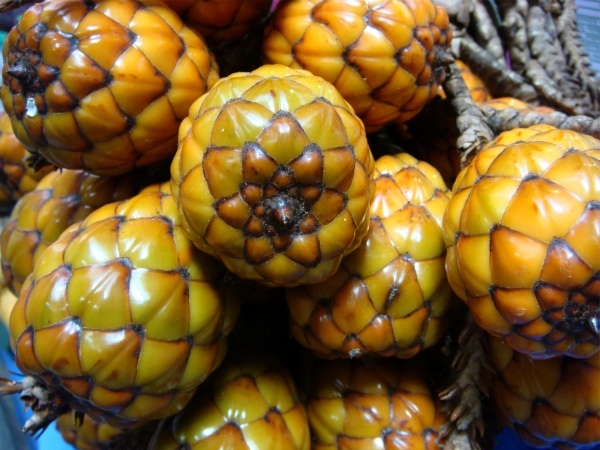 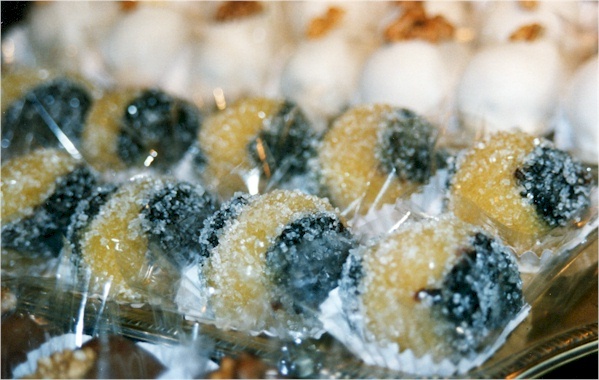 In northern Brazil, sweets are made of Amazonian fruits, such as açai, bacuri, Brazil nuts, buriti, and cupuaçu. 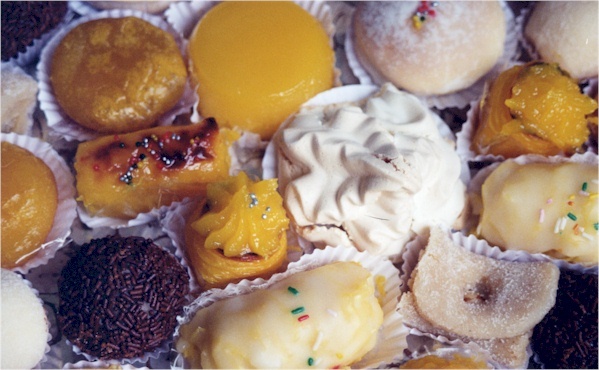 The photographs below were taken in Porto Alegre, with the exception of the quindins, bottom right, which are from Rio. 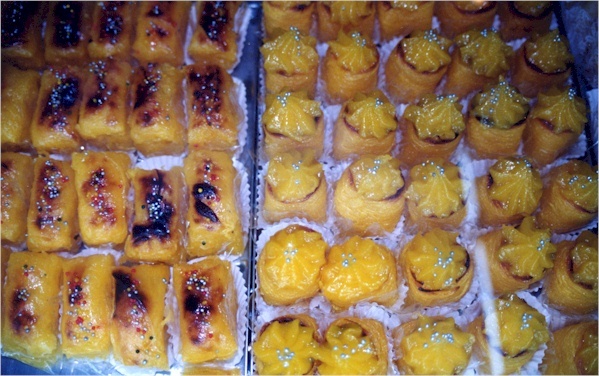 If you find yourself in Porto Alegre, this is the place to buy the very best docinhos, marmalades, etc: Doces Pelotenses!